ALSA is the largest private source of funding for ALS-specific scientific research in the world, seeking to identify the cause, means of prevention, and cure for ALS. The mission of the Connecticut Chapter of The ALS Association to be the central source in Connecticut for comprehensive services and education of ALS patients, families and caregivers. The Alzheimer's Association is the national health organization dedicated to enhancing the quality of life for all persons affected by Alzheimer's disease and related disorders through comprehensive educational programs, compassionate services, access to resources and support for research. It affects people mainly over age 65 but can affect people much younger. It is the fourth leading killer of adults with over four million victims in the US. The American Heart Association is a national voluntary health agency whose mission is to reduce disability and death from cardiovascular diseases and stroke. Your contributions to the American Heart Association continue our lifesaving work through research, education and community programs. The mission of the American Lung Association is to prevent lung disease and promote lung health. The American Lung Association is the oldest voluntary health organization in the United States, with a National Office and constituent and affiliate associations around the country. Founded in 1904 to fight tuberculosis, the American Lung Association today fights lung disease in all its forms, with special emphasis on asthma, tobacco control and environmental health. For more information, click on American Lung Association of Connecticut. The American Red Cross is in your community 24 hours a day, seven days a week. The Red Cross in Connecticut responded to more than 500 local disasters last year, assisting 875 Connecticut families with their immediate disaster-related needs for shelter, food, clothing, replacing medical prescriptions and meeting other emergency needs. The Red Cross also provided lifesaving and emergency preparedness training to more than 200,000 Connecticut residents and offered emergency communications, counseling and other services to more than 2,100 Connecticut military families. More than 100,000 blood donors helped the Red Cross to provide 150,000 units of blood and blood products to Connecticut's transfusing hospitals and acute care facilities last year. For more information, click on The American Red Cross. At Autism Speaks, our goal is to change the future for all who struggle with autism spectrum disorders. Autism Speaks aims to bring the autism community together as one strong voice to urge the government and private sector to listen to our concerns and take action to address this urgent global health crisis. It is our firm belief that, working together, we will find the missing pieces of the puzzle. Autism Speaks. It's time to listen. For more information, click to Autism Speaks. For more information, click to Autism Speaks. Best Buddies Connecticut is a non-profit organization that is dedicated to enhancing the lives of individuals with intellectual disabilities through mutually enriching one-to-one friendships and integrated employment. We currently serve more than 2200 participants statewide. We have established programs in 15 middle schools, 35 high schools, and 15 colleges, with several new chapters under construction, as well as continually expanding Citizens program in the community. For more information, click to Best Buddies. The Connecticut Association of Latinos in Higher Education (CALAHE) is dedicated to promoting and advocating full access, retention and participation of Latinos/Latinas throughout Connecticut higher education. The purpose of the organization is to promote access and hiring of Latinos/Latinas in Connecticut higher education. CALAHE also focuses on providing necessary retention services for our Latino/Latina students and employees. For more information, click to CALAHE. Community Health Resources (CHR) is a non-profit, comprehensive, community-based system of behavioral health care dedicated to helping people of all ages lead happier and healthier lives. Today, CHR offices are conveniently located in the communities east and north of Hartford, including Enfield, Windsor, Manchester, and Vernon. We are continually expanding our service offerings to better serve your mental health needs. If you or a loved one are experiencing mental illness, emotional stress, and/or substance abuse issues, you can turn to Community Health Resources for assistance. Created in 1989, The Governor's Prevention Partnership is a not-for-profit partnership between state government and business leaders with a mission to keep Connecticut's youth safe, successful and drug-free. Co-chaired by Governor M. Jodi Rell and David Fusco, President, Anthem Blue Cross and Blue Shield Connecticut Market, The Partnership provides leadership and services to help schools, communities, youth organizations, colleges and businesses create and sustain quality programs. For more information, click on Governor's Prevention Partnership. HARC helps people with intellectual disability and their families enjoy lives of quality, inclusion and dignity by providing support, education, and advocacy. HARC was founded in 1951 by a small group of parents whose mission was to address the challenges of intellectual disability. Years ago, when a child was identified as having this disability, he or she was almost always referred to an institution. There were few, if any, programs or services available to help the child living at home. for more information, click on HARC. JDRF is the leading charitable fund provider and advocate of type 1 (juvenile) diabetes research worldwide. The mission of JDRF is to find a cure for diabetes and its complications through the support of research. For more information, click on Juvenile Diabetes Research Foundation. Lea's Foundation for Leukemia Research, was formed in 1998 to honor the memory of Lea Michele Economos, who at age 28, fell victim to leukemia. The goal of the Foundation is find a cure for leukemia and its related diseases. For more information, click on Lea’s Foundation For Leukemia Research . NAMI (the National Alliance on Mental Illness) is the nation’s largest grassroots mental health organization dedicated to improving the lives of persons living with serious mental illness and their families. Founded in 1979, NAMI has become the nation’s voice on mental illness, a national organization including NAMI organizations in every state and in over 1100 local communities across the country who join together to meet the NAMI mission through advocacy, research, support, and education. For more information, click on NAMI - The National Alliance On Mental Illness. The NKF of Connecticut brings hope to thousands of people across Connecticut, including more than 3,000 dialysis patients and an estimated 500 residents currently waiting for kidney transplants. The NKF of Connecticut funds medical research in fields of nephrology (kidney disease), transplantation and urology and provides education and support services to patients and transplant recipients, their families and to renal (kidney) health professionals in Connecticut. For more information, click to the National Kidney Foundation Of Connecticut. The Salvation Army exists to serve the people of Connecticut and Rhode Island in their time of need -- great or small. Each individual is addressed as a whole person with physical, emotional and spiritual needs. The Salvation Army aspires to assist individuals to become more independent through a variety of services and programs. For more information click to Salvation Army . The mission of Special Olympics is to provide year-round sports training and athletic competition in a variety of Olympic-type sports for children and adults with intellectual disabilities, giving them continuing opportunities to develop physical fitness, demonstrate courage, experience joy and participate in a sharing of gifts, skills and friendship with their families, other Special Olympics athletes and the community. For more information, click on Special Olympics. For 25 years, Susan G. Komen for the Cure has been a global leader in the fight against breast cancer through its support of innovative research and community-based outreach programs. Working through a network of U.S. and international Affiliates and events like the Komen Race for the Cure, Susan G. Komen for the Cure is fighting to eradicate breast cancer as a life-threatening disease by funding research grants and supporting education, screening and treatment projects in communities around the world. The Connecticut Affiliate has distributed more than $6 million statewide and $2 to the international Komen Award and Research Fund. For more information, click on Susan G. Komen for the Cure. 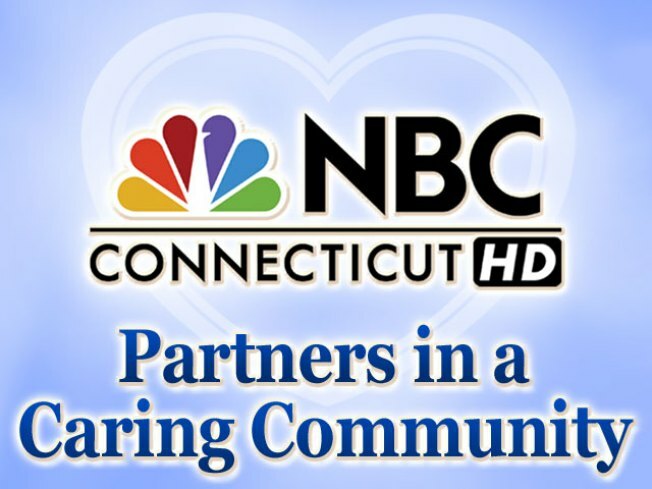 United Way of Central and Northeastern Connecticut is a nonprofit organization that has been meeting human care needs in the 40 towns throughout central and northeastern Connecticut for more than 80 years. With its network of partner agencies, volunteers and community leaders, our United Way takes a leadership role in changing conditions to improve lives in the communities we serve. Urban League of Greater Hartford's, mission is to enable African-Americans and other residents of the Greater Hartford Region to secure economic self-reliance, parity, power, and civil rights. The fundamental objective of the National Urban League and the ULGH is to assist individuals and families achieve self-sufficiency and to enjoy their rights as equal citizens. For more information, click on Urban League.